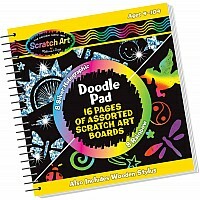 Use the stylus to doodle and draw in this compact spiral-bound book. 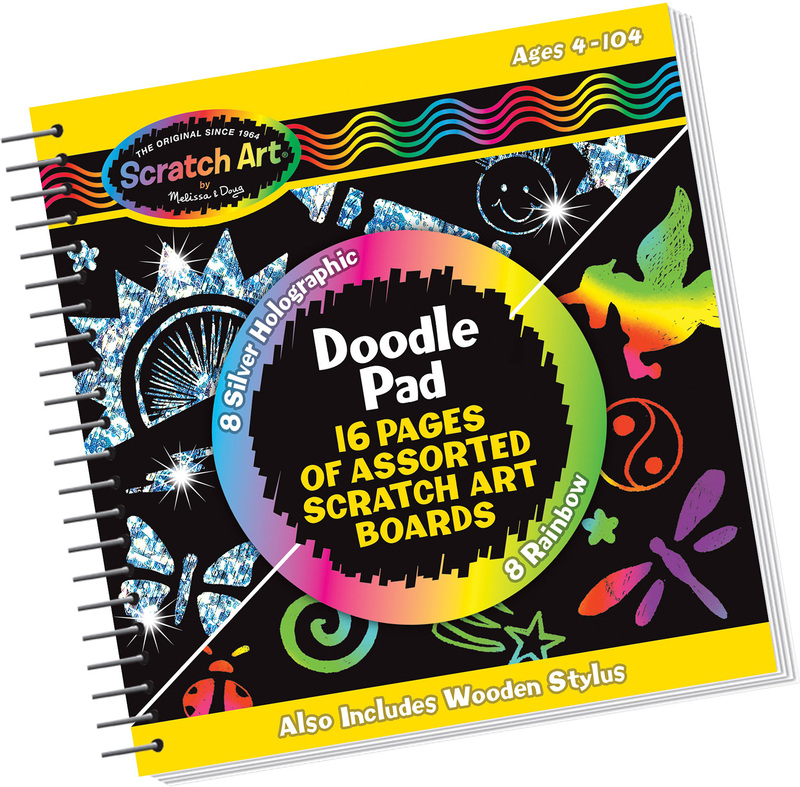 It's filled with 16 Scratch Art pages (8 multi-color, 8 silver holographic) and is easy to throw in your backpack-so you never need to leave home without Scratch Art! Includes wooden stylus. Measures approximately: 0.30 x 5.50 x 5.70 inches..